BPA is present in store receipts. This is a sobering statistic. We get concerned, quite rightly, about the BPA in the plastics in our homes. 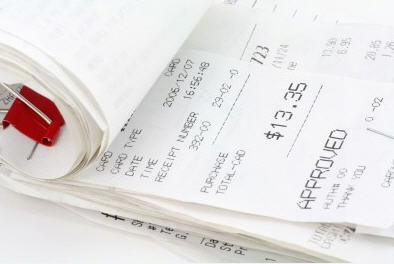 But did you know that BPA is also present in the cash receipts you are handed at your local stores? According to this article at Unreasonable.org, the concentration of BPA on a cash receipt is literally millions of times higher than in polycarbonate plastic bottles. As a consumer, this concerns me, because after I handle the receipt I then go home and unpack the food I have just purchased – with a transfer of BPA moving from my hands to the food itself. Of course, I would be a great deal more concerned if I worked at a till in a high-volume store. The checkout clerks are handling these BPA-laden receipts hundreds of times every day.